Mount Kilimanjaro is a snow capped and shrouded by clouds, the local Chagga people called it ‘Kilema Kyaro’ meaning ‘that which cannot be conquered’ or ‘that which makes a journey impossible’. Today, it is the dream of every adventurer to conquer its summit and stand on the roof of Africa. Mount Kilimanjaro is the highest mountain in Africa and the tallest freestanding mountain known to man. It is a mountain where you can hike for more than 50 kilometres, gain 4 000 meters in altitude, traverse rain forest, moorland, alpine desert, snow fields and ice cliffs, all virtually on the equator! A truly unforgettable and fascinating adventure . The Best Kilimanjaro Climbing Routes. Deciding when to climb Kilimanjaro is ultimately up to you but whenever you choose our team will work had to make sure you have a life changing experience. So climb Kilimanjaro with Africa Joy Tours the high altitude trekking & Safari specialists, for the ultimate trekking adventure any time of year. Whether it is your first time to climb Kilimanjaro or whether you have climbed many other mountains, we have a best climbing route for you. We encourage you to select the route that best suits you- and make the most of your comfort and increase chance of success to the top. Total trip duration is 6 days. Kilimanjaro climbing Shira Route: Shira 7 days route approaches the summit from the west via Barafu camp and Stella Point, before descending via the Mweka Route and Millennium camp. We walk across an alpine plateau and pass through the caldera of Shira volcano and exploring the rock formations of the plateau. The 7 days route gives a complete maximum time to acclimatization and also gives the perfect view of the glaciers on the crater rim, before joining with other routes and making the final ascent to the top. Total trip duration is 7 days. Kilimanjaro Lemosho Route: Lemosho 9 days route approaches the summit from the west by the lightly-used Lemosho route. Lemosho route is considered to be easier and more beautiful than any other trail and it retains a real sense of unspoilt wilderness. We travel through forest and moorland from the west, crossing the caldera of Shira volcano and exploring the rock formations of the plateau. The 9 days route gives a complete maximum time to acclimatization and also gives the perfect view of the glaciers on the crater rim, before joining with other routes and making the final ascent to the top. Kilimanjaro Climbing Machame Route: Machame 7 days route approaches summit through forest from the west and joins the other trekking routes before traversing beneath the southern icefields of Kibo. The rainforest is extremely beautiful. The 7 days route gives a complete maximum time to acclimatization, and also gives the perfect view of the Barranco walls. Kilimanjaro climbing Marangu Route: Marangu 6 days route is the most popular ascending route and is well established route on Kilimanjaro and is the perfect for those with no camping experience. Marangu is only route that has the luxury of sleeping huts along the way with evening meals taken in a communal dining area. There are even showers (cold) and some flush toilets, which to some are actually a bit of a luxury on the mountain. 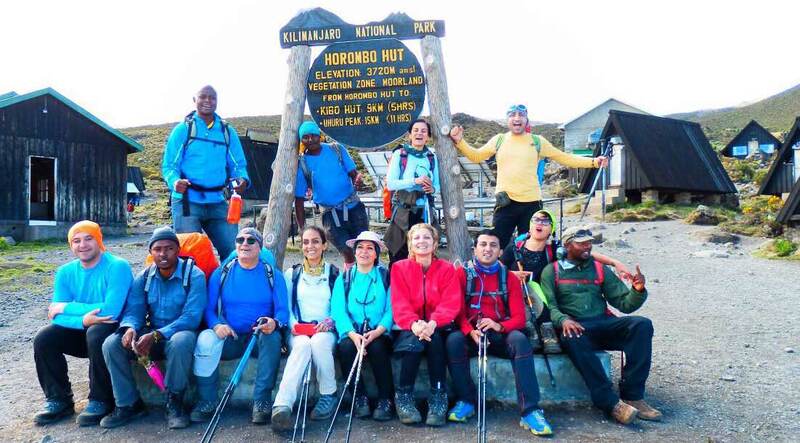 Kilimanjaro Climbing Northern Circuit route 9 days This special route combination is by a wide margin the least-used route on Kilimanjaro, getting you far away from the madding crowd. The trailhead is at high elevation, and thus we start slow and easy on this route. The trail begins on the Shira Plateau, and the hike across the plateau is said to be one of the most stunningly beautiful hikes in Africa.Total trip duration is 9 days.